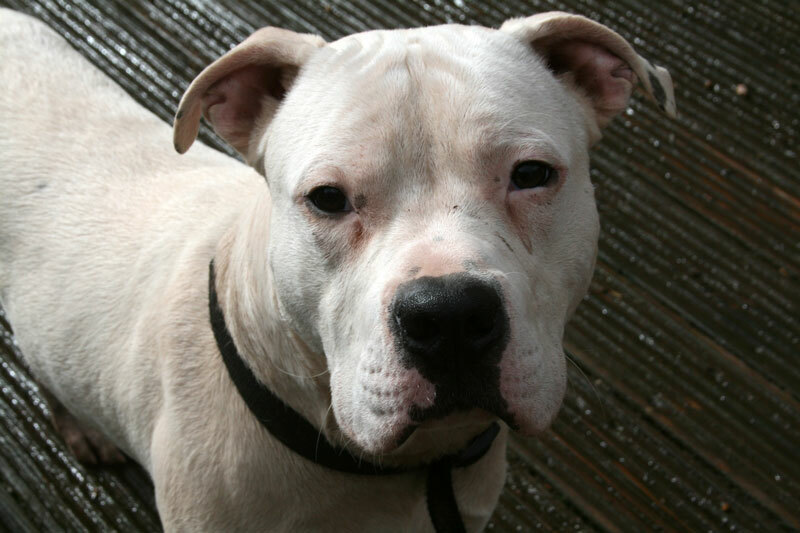 Duncan is an 18 month old American Bull Dog. He had a tough start in life, but is safe with us now and seems relatively unscarred by his misfortunes. 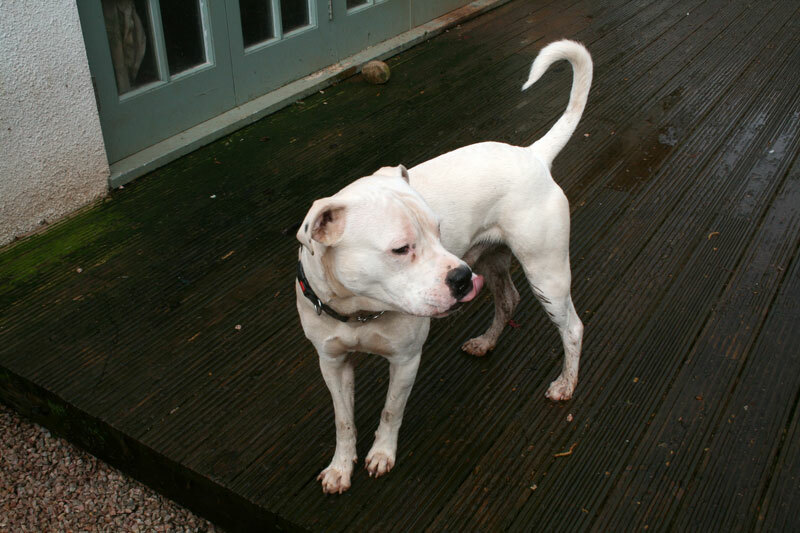 Duncan loves dogs, is sweet with people and learning every day to trust that life will be ok now. He isn’t quite ready to leave us yet, we would like to build his confidence some more. But he can live with another dog or dogs, has lived with children, and is an all round lovely boy who just wants to please and have a safe and happy life.